Our friends at Hobby Link Japan sent through information on 3 new Ultraman products hitting the Japanese market. The high end collectibles will include Character Classics Ultraman Taro, Ultraman Tiga Art Master 3D, Ultra Q Decayed Garamon Art Master 3D. Each of them are based on the classic series and are meant for the most die-hard Ultraman fans. Read on to check out the details and info from HLJ! GomoraKick (Kaiyodo International) presents three premium, highly-detailed Ultraman statues for summer release: Ultraman Tiga, Ultraman Taro, and Gamaron. SANO, Japan — HobbyLink Japan, one of the largest and longest-operating international retailers of Japanese hobby products and toys, announced today the release of three premium statues for Ultraman fans, brought to life by master sculptors Takashi Kinoshita and Ryu Oyama. All three statues will be available outside of Japan this July from GomoraKick (Kaiyodo International), and are currently available for pre-order from HobbyLink Japan with no prepayment required. Based on the in-depth knowledge and research of Takashi Kinoshita, Ultraman Taro is recreated in impressive detail at 35cm tall. The mask has been crafted with the original mask used as reference, and the Color Timer has been reproduced in translucent material and reverse installed for an impeccable appearance. Includes a magnetic display stand. Created by Takashi Kinoshita, Ultraman Tiga features a realistic, screen-accurate costume created by 3D scanning the original vinyl kit, then enlarging and improving details into a stunning 80cm-tall statue. His eyes and Color Timer are LED-lit, and sound effects are built in, adding interactivity to aesthetic. A remote control for the LEDs and sound effect, as well as a display stand, are included. Sculptor Ryu Oyama brings us the most detailed, delightfully grotesque version of Garamon yet. Garamon was crafted as a 14cm-tall clay model which was CT scanned to capture every layer and detail necessary to enlarge the final statue to a 20cm height. Made from blown poly-resin similar to plastic, this kaiju is made to be particular resistant to breakage and damage to protect each carefully-crafted thorn and edge. In 1995, HobbyLink Japan Ltd. began offering Japanese model kits to international customers out of a small apartment in Tokyo, Japan. Today, HobbyLink Japan Ltd. operates out of a custom-built office and warehouse in cozy Sano City, Tochigi Prefecture, and offers over 120,000 hobby products, toys, publications, and collectibles at domestic prices, shipping to 225 countries and regions worldwide. In addition to retail sales, the company offers wholesale, third-party logistics, and third-party ecommerce services. With its staff of over 75 Japanese and international employees, HobbyLink Japan Ltd. won feefo’s Gold Trusted Service Award in 2018 for outstanding service scores, as rated by real customers. To learn more, visit https://hlj.com/corporate-profile. Power Rangers Dino Charge Zord Reveal at Toy Fair 2015! 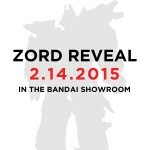 Check back this weekend for an all new Zord to be revealed at Toy Fair 2015! Unleash ultimate Dino Zord power with the Power Rangers Feature Zord! Push T-Rex forward to activate massive dino stomping action, and pull down to hear him roar! Insert a Dino Charger to activate even more lights and sounds. And when the battle rages, activate T-Rex’s epic tail spin or slash attack! Includes 1 Dino Charger. 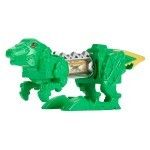 Epic T-Rex Zord roar, battle sounds and light FX! Collect and insert Dino Chargers to unlock different sounds and lights! Official Bandai of America press release from New York Toy Fair 2015! 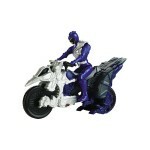 Kids can rev up the action with these all new and improved Power Rangers Dino Cycles. As seen in the TV show, the Rangers call upon these epic Cycles to defeat evil. Each Cycle comes with an exclusive articulated 5-inch Figure. And just like on the TV show, you can morph the Cycle into two separate attack Dino Zords! Mix and match Cycles with the Deluxe Megazord or any of the other Zord Builder items to create powerful Megazord combinations. 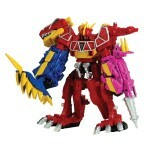 Morph into 2 separate Dino Zords! Unleash the battle power with the chomping Dino Spike! 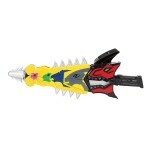 The Dino Spike is more than a fun battle-play sword – it features awesome chomp action, light and battle sound effects. Insert any Dino Charger to “Charge It Up” with even more effects! Then, pull the lever to unleash giant chomping teeth and even more battle sounds! The Dino Spike comes with 1 Dino Charger. Extra large dino chomping action! Pull the lever to unleash giant chomping teeth! The centerpiece of the Power Rangers’ Zord Builder arsenal is the iconic Deluxe Megazord! 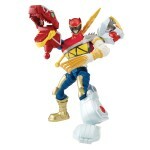 We offer 2 Megazords for kids to morph – Dino Charge Megazord and Ptera Charge Megazord! The Dino Charge Megazord can morph between 3 Dino Zords to form the massive Megazord and bring the ultimate strength to the battle. The Ptera Charge Megazord can morph between two show-accurate modes: battle evil on foot as a Megazord, or fly into action as Pteradactyl Mode! Insert the included Dino Charger to activate even more morphing features! Collect and combine with any of the other Zord Builder items to create unique and powerful Megazord combinations. Both Deluxe Megazords include 1 Dino Charger that can also be inserted into other Power Ranger Battle Gear Items and the Deluxe Dino Charge Morpher! Collect them all! Each sold separately. Collect and combine with other items in the Zord Builder Collection to create epic Zords! Take down evil monsters with the help of the Power Rangers Mixx N Morph figures! Mixx up parts from Power Rangers, Zords, Megazords, and more to create the ultimate battle figure. Collect and combine with other Power Rangers Mixx N Morph figures to create endless fun combinations! Each sold separately. Mixx N Morph parts from Power Rangers and Zords to create the ultimate figure! Charge Up your Dino Charge battle gear and Zords with the Power Rangers Dino Charge Dino Charger Power Pack! 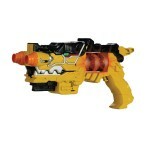 Included in each pack are two Dino Chargers and one Dino Zord. Just like on the Power Rangers Dino Charge TV show, the push of a button activates 4-sided flip-through graphics on each Dino Charger! Attach the head and tail pieces of each Dino Zord to the Chargers to morph your Charger into a Dino Zord, or mix and match the head and tail pieces to make all new Dino creations! You can also scan each Dino Charger using the Power Rangers Dino Charge Scanner App to morph into your favorite dino and battle evil. Each Dino Charger activates features in other Dino Charge toys, including the Deluxe Dino Charge Morpher, Battle Gear, and items in the Zord Builder collection. Each sold separately. Collect them all! Scan with the Power Rangers Dino Charge Scanner App to morph into your favorite Dino and battle evil. Activate sounds or features in select Dino Charge Role Play and Zord Builder items. Charge It Up! Unleash the power of the Dino Chargers with the Power Rangers Deluxe Dino Charge Morpher! As villain Sledge arrives to threaten the safety of earth, the Power Rangers Dino Charge channel ancient powers into Dino Chargers. Now you can collect the Dino Chargers to activate an array of dino-fueled powers and Zords to help the Rangers defend the planet! Insert any of the Dino Chargers into the Deluxe Dino Charge Morpher to unlock lights and sounds. Different chargers unlock different dino sounds – just like the TV show! And with the Power Rangers Dino Charge Scanner App for smartphones and tablets, you can scan your Dino Chargers to morph into a Ranger and, coming Fall 2015, battle villains on your device! The Deluxe Dino Charge Morpher comes with 2 Dino Chargers. Many items in the Power Rangers Dino Charge toy line include a Dino Charger that can be used with the Deluxe Dino Charge Morpher as well as the Dino Charge Scanner App, Zord Builder items, and more. Each sold separately. Collect them all! Morpher & Battle Gear in one! Toku Nation has decided to switch focus. 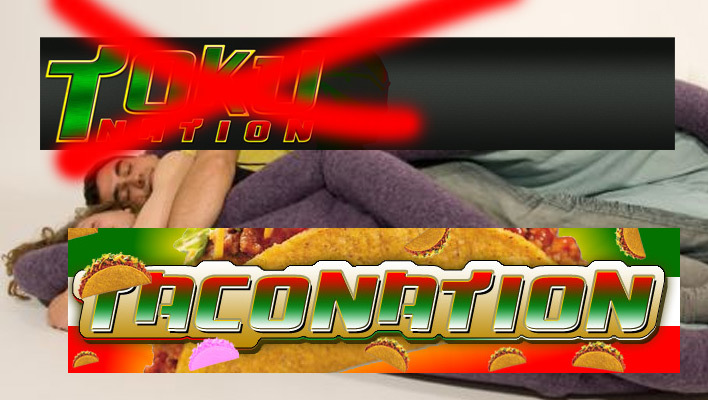 Since everyone thinks it’s Taco Nation, or just says Taco Nation because it’s much funnier than Toku Nation, we’re gonna roll with it. This will be an all Taco site. The roll out begins today. The forums have already been converted, and we will be implementing the front page Taco conversion over the next couple days. We hope you join us on the Taco Roller Coaster. Jump into our Taco on the forums here: http://www.tokunation.com/forum.php! UPDATE: We’ve decided to stay with TOKU instead of TACO. Taco conversion canceled. Carry on. 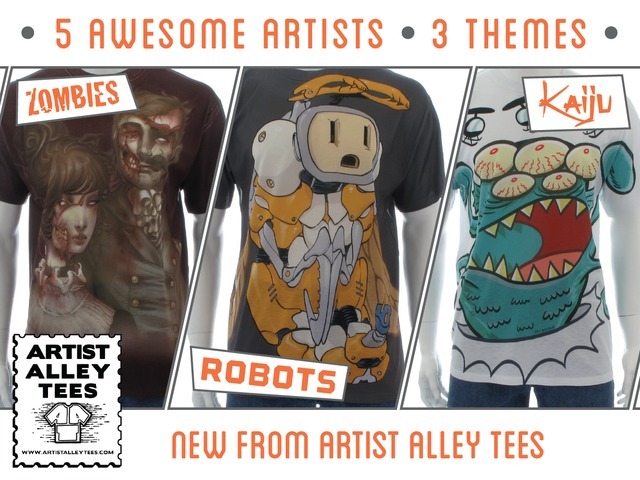 Artist Alley Tees Launches Kickstarter with Kaiju Theme! Friend of the site Stylin Online[/URL] has launched a Kickstarter[/URL] project along with B’lockhouse (aka Josh Blaylock of Devils Due fame) to produce a new artist based T-Shirt line called Artist Alley Tees. They have gotten the project up and running already, with artwork and test runs done (artists paid), but are looking to Kickstarter to see if there is demand for a wider production run. Of note for our Tokunation fans – one of the first themes are Kaiju! ARTIST ALLEY TEES is a simple concept. We pick the comic artists you love, give them some themes that are all the current rage, and set them loose designing their own tees. For this inaugural launch we have Zombies, Robots and yup, giant “Kaiju” monsters! We envision an apparel brand where in the future you’ll be able to find AA Tees at the convention table of your favorite artist, at our own comic-con booths, and online. But after each run, when shirts are gone they’re gone, just like a limited edition variant cover. The initial round of artists include Art Baltazar, K. Lynn Smith, Nei Ruffino, Phil Hester, and Tim Seeley. This isn’t like some of the parody / mash up / one a day sites out there. Seems to be more artist focused with larger print runs and available longer, even if limited. Bagging and boarding the shirts is a nice touch too IMO. Check out full details over at Kickstarter[/URL], and support if you dig it! All times are GMT -4. The time now is 7:26 AM.